An arts collective gathers to celebrate their director's birthday. With Moscow Mules and assorted belongings they sprawl freely in all manners across the floor. As the night unfolds, the play that they are building – about our planet's ailing oceans -- pervades every conversation, until the party guests find they are performing it. 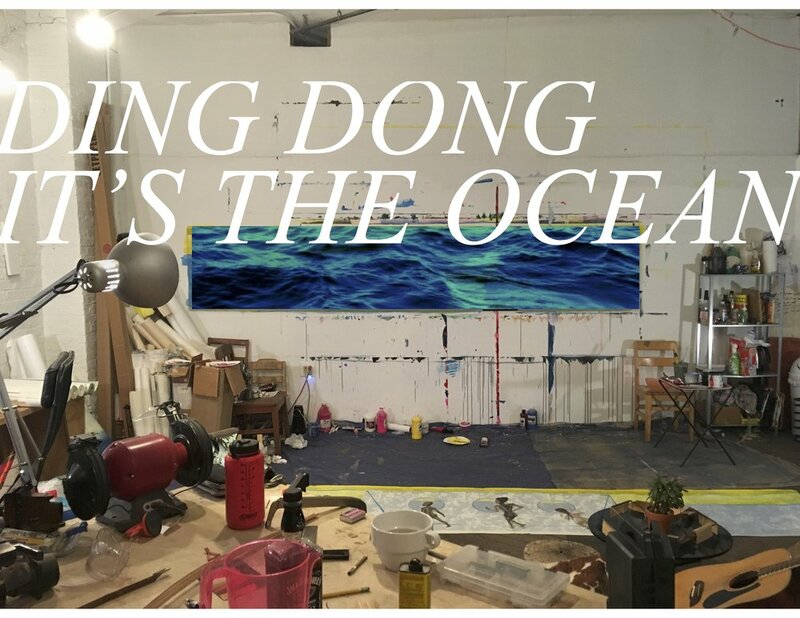 DING DONG IT'S THE OCEAN is the performance piece we asked our friend Alex Borinsky to write. We asked him to look at the ocean. We asked him to look at the ways we popularly understand things like global warming, sea-level rise, and the polluting American economy. We asked him to think about the human power to artfully conceptualize the unknown, or the abstract.